Welcome to the 6th Literary Giveaway Blog Hop hosted by Leeswammes! There are 50 blogs taking part and each one is giving away something bookish (with the emphasis on literary fiction). The hop runs until 31st October so there's plenty of time to visit all the blogs (see linky list at the bottom of this post). So, onto my giveaway. I can never decide on just one book so the winner will have a choice between Liz Jensen's The Uninvited or Peter Heller's The Dog Stars. Both are 2012 releases that I loved and I hope you will too. The giveaway is open internationally (providing The Book Depository ship to your country) and entry is via Rafflecopter. If you don't want to follow me in any shape or form, you get one free entry but there are bonus entries for followers and sharing. I'd love to win The Uninvited - sounds a little creepy, but still interesting. Would be a good book for a rainy weekend! I really think I will LOVE The Dog Stars. How odd that you didn't expect to like it. Actually I think The Uninvited is going to be great as well (I've got a Netgalley copy of it). "The prose borders on poetry in places, with short, incomplete sentences." as a dedicated Word Botherer, this has real appeal, so please put me down for The Dog Stars. thanks. Haven't read either of these books. Would love to win one! I'd love to win The Uninvited- it sounds like it would be right up my alley! thanks for the great giveaway. Great choices, both of these books are on my wishlist but I think I am just a little bit more keen to read The Uninvited so that's what my giveaway entry is going towards! Thanks for the opportunity to win! Thanks for this opportunity! I would choose The Dog Stars. 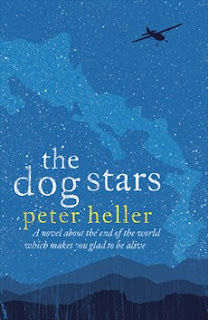 I want to read "The Dog Stars. The reviews have led me to add this as a "must read". As a new follower.I like your Blog design. Thank you for a copy to win. Thanks for sharing this giveaway. I'd like to try reading The Uninvited. Hope to win! 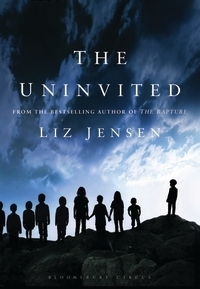 Great book choices - I'd like to read The Uninvited by Liz Jensen. Thanks. Both books sound good.